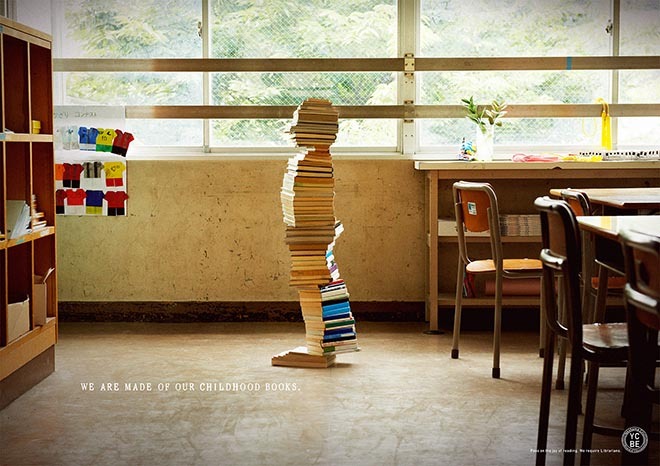 Yokohama City Board of Education (YCBE) worked with a Dentsu Tokyo creative team to recruit librarians. 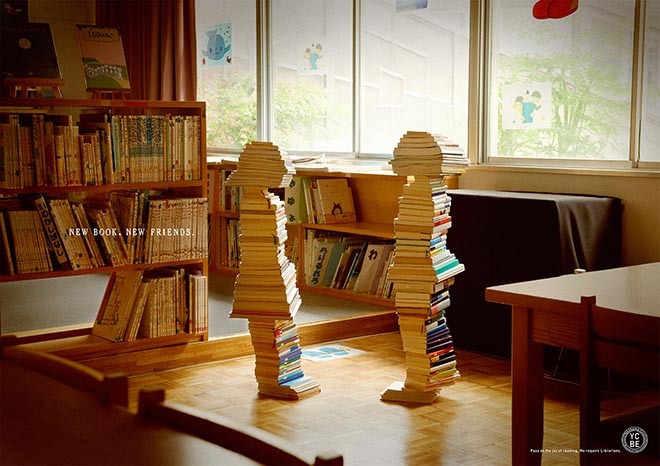 Yokohama City in Japan has librarians at elementary schools so that kids will interact with books more. 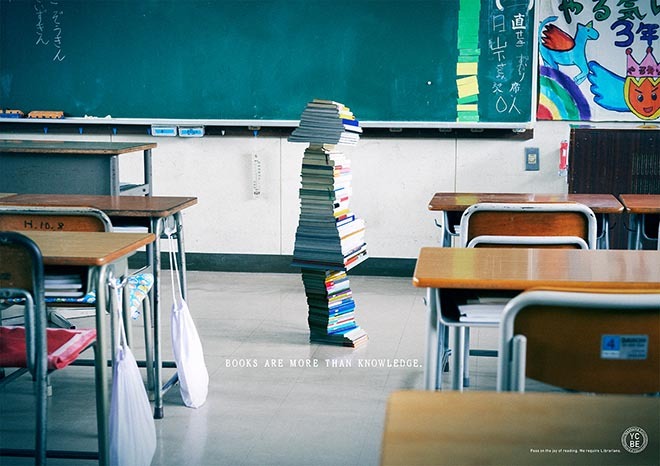 A Dentsu Tokyo creative team took up the challenge to recruit librarians who understand the value of books. They wanted to redefine the role of a librarian to be seen as a job that opens new possibilities for children, helping their mind grow. The campaign saw applications increase by 150% compared to last year. 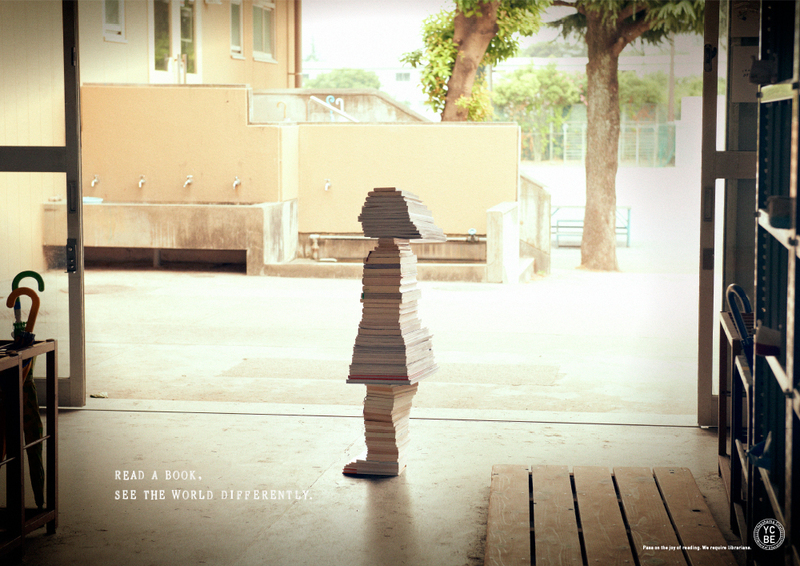 The Yokohama City library Books Make Children campaign was developed at Miharumiyukijiro, the combined efforts of Dents Tokyo art director Miharu Matsunaga, copywriter Miyuki Ito and strategist Jiro Murayama.